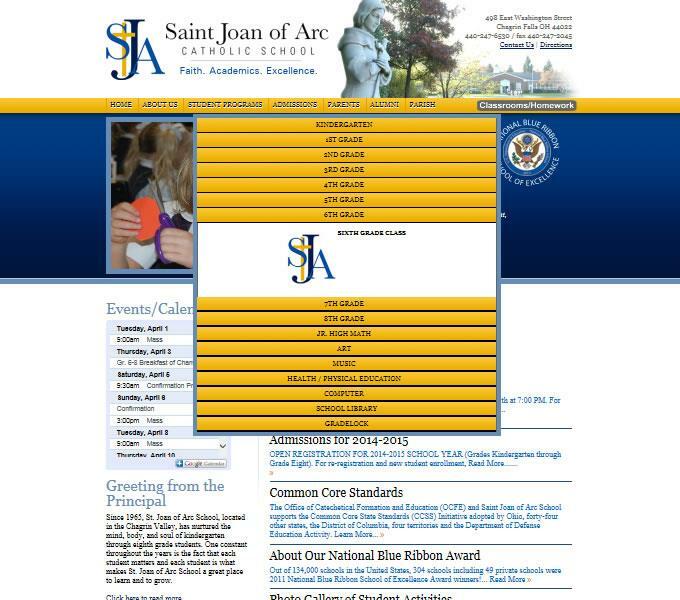 St. Joan of Arc is another wonderful example of one of our professionally designed websites. 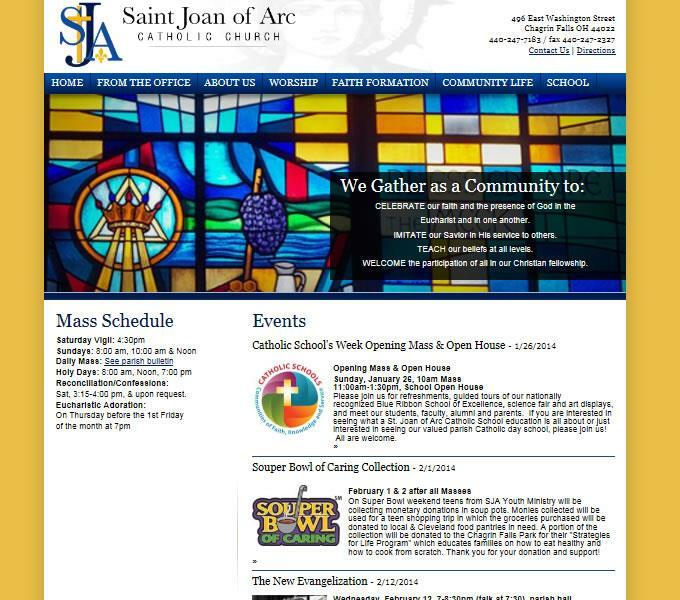 This site has enabled the church to keep all of their members up to date on things such as mass schedules and events. 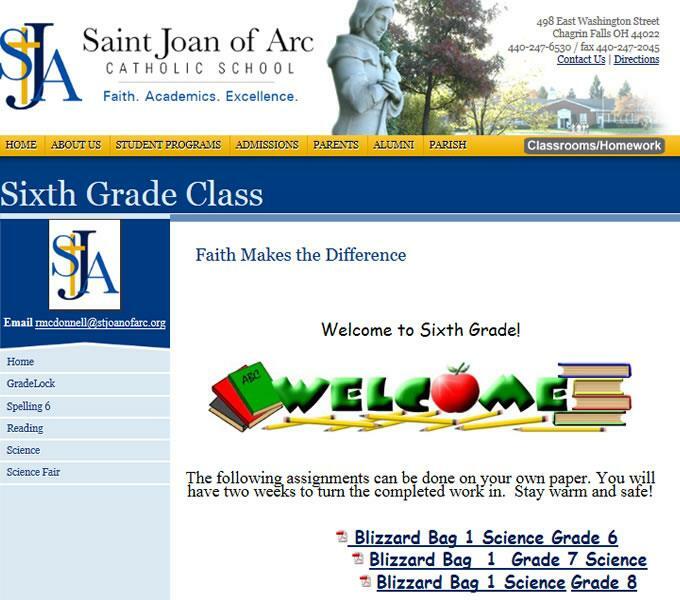 We had also built a dynamic form tool enabling the church staff to create a form for things such as volunteer work. 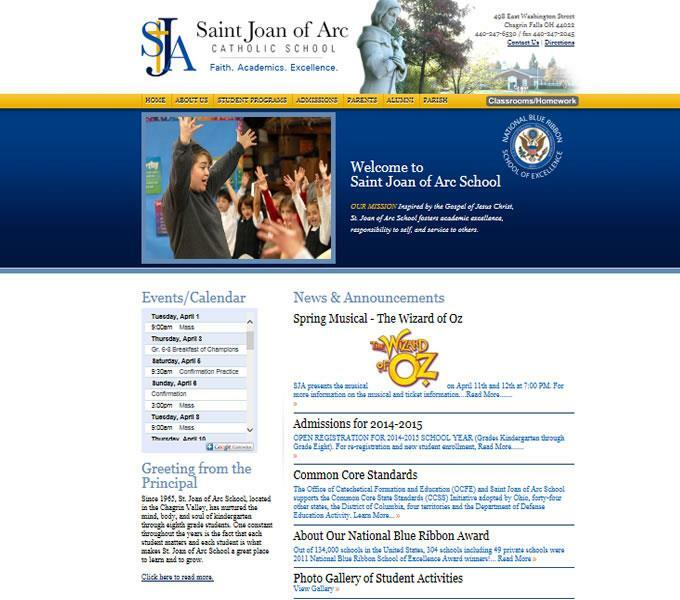 St. Joan of Arc also has a school website with teacher pages. Each teacher can update it with current homework and projects enabling parents to monitor and ensure the success of their students!